These wines are made from vines that are 60 to 80 years old, with a low yield, enabling a natural concentration of grapes to be obtained, while expressing the minerality of our soils. 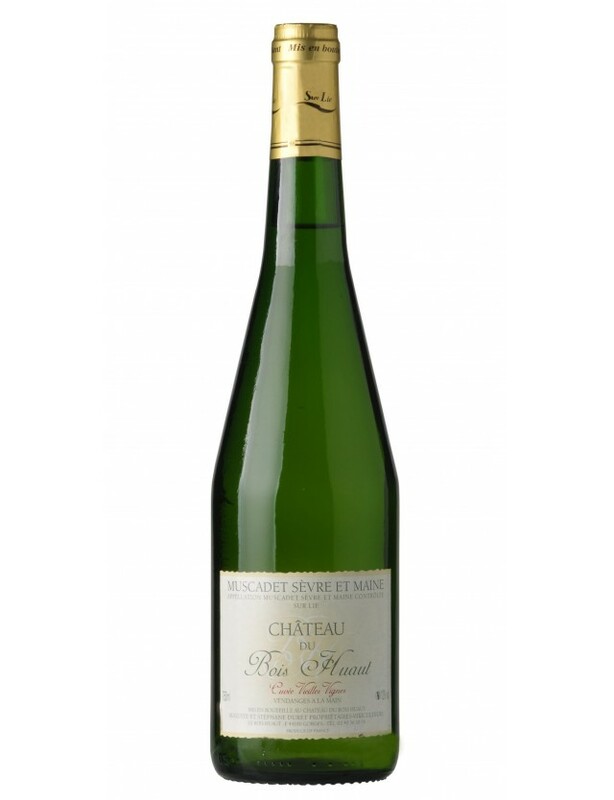 Adorned in its light yellow colour with silvery strands, this Muscadet offers a well-rounded and fresh nose with mineral accent and hints of aniseed. The palate opens with a slight sparkle, associated with ageing on lees. The progression offers great balance between the vivacity linked with acidity and the full-bodied character of the texture. Nice length, with a lemony finish. This 16-year-old cuvée still offers plenty of freshness and can potentially be kept for another few years. Listening to the vine... The philosophy of the estate is centred on the quality of the grapes, in order to create wines with an intense concentration and finesse. These exceptional wines result from the richness of the terroir, a favourable climate, ideal exposure to the sun, as well as specific expertise. The manual harvest, which is used for only 1% of the vines in the Nantes area, allow us to obtain a consistent quality and leave nothing to chance. For more than five generations now, the vine-growing estate Château du Bois-Huaut has been the property of the Brin family, then the Lussaud family and today, the Duret family (part of the same genealogical line). This family estate went quickly from a small farm, that carried out mixed farming, to specialising in growing vines and direct sales from 1984 on the arrival of Stéphane. During these years, the estate has expanded and broadened its vine population to achieve a surface area of 24 hectares with 14 different varieties. In 2016, Luis Duret arrived on the estate and brought his personal touch, completely modernising the tasting cellar. More welcoming, visitors are now able to taste their picks from our wide range of wines, in new, comfortable, hospitable conditions. The 24 hectares of Château du Bois-Huaut extend over three communes: Gorges, Mouzillon and Clisson, with grouped plots around the site and three islands of very different soils: - In Clisson, the soil is clay with a large presence of flint and the bedrock is granite. - In Gorges, (immediately around Château du Bois-Huaut), the soils are siliceous clay with granite and mica schist (clay bedrock) veins on a soil whose bedrock is gabbro. - In Mouzillon, soils are clay-loam with a gabbro bedrock.